Hi, I am writing in regards to the property at *** Anglers Cv #n-304, Marco Island, FL 34145. Please send me more information or contact me about this listing. Anglers Cove two bedroom unit with an updated kitchen with granite counters and breakfast bar. The flooring in the kitchen living room and on the screened lanai is large tile and the bedrooms are carpeted. Weekly rentals are permitted at Anglers Cove. Electricity is included in your quarterly fees. The riverfront complex offers 31 boat slips for lease to owners and tenants. The slips range from 26 to 40 feet. Amenities include two heated pools, spa, tennis and pickle ball, fishing, bike storage, and much more. Enjoy breakfast, lunch, and dinner or drinks at the on site Dolphin Tiki Bar and Grill. Anglers Cove offers many of the relaxing amenities that people are searching for on Marco Island. Welcome to a little piece of Paradise!This rent to own home is a townhouse or condo located in Marco Island. It offers in size, 2 beds and 1 baths. 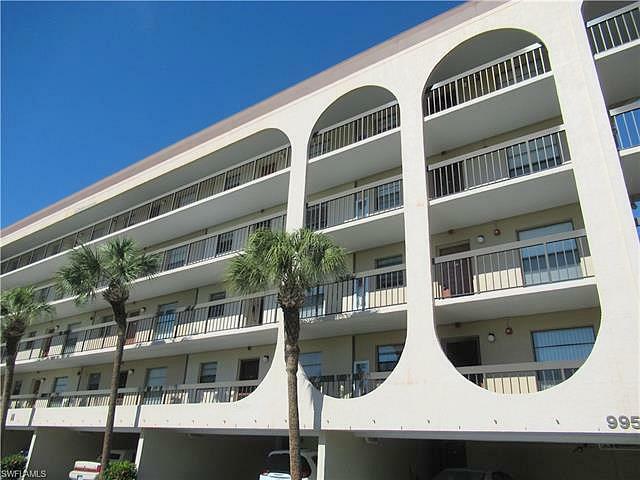 Review its detailed information and determine if this Marco Island rent to own has the qualities you are looking for.